The hosts stood up from the loss suffered on the first day of competition against Russia and defeated Slovenia 21-30 for their second match of group B. Grace Zaadi was the best player of the match and top scorer with 6 goals. The coached by Olivier Krumbholz started off strong in the second match of the group round in Nancy. 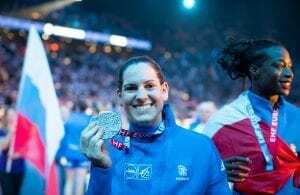 With an explosive Grace Zaadi in the command, the French scored a 0-5 run and did not allow Slovenia to come any closer. The Metz centre back scored 5 of her goals on the first half, but also stole and assisted for her teammates in an impressive start. It took Slovenia 13 minutes to score for the first time. All of their previous shots had been either stopped by Amandine Leynaud or by the blocks of a strong French defense. It was through Teja Ferforlja that the Balkans scored their first goal of the match. By the end of the first period, the score was 8-17 in favor of the host team. The second half of the match was much tighter and in fact ended in a tie (13-13). The big goal difference obtained on the first 30 minutes of the match were too many for the Slovenians to comeback, however, they did not step back and 20-year-old Maja Vojnovic did her part in helping the Slovenian squad with an impressive 46% of saves (6/13) after the first 20 minutes of the second period (finished with 38%, 8/21). Brest’s right back Ana Gros was top scorer of the Slovenian team with 5 goals. 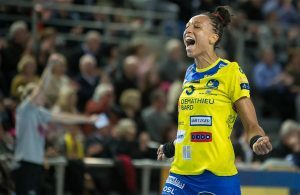 A huge cheer was heard on the stadium on the 21th minute og the second half when Pauletta Foppa, the 17-year-old scored her first goal in an EHF Euro competition with the national team jersey. A few minutes later she would score another two for the delight of her teammates and fans. The French are now back on track in the pursue of a spot on the semifinals. Even though the main round hasn’t even started, the format of the competition forces everyone to think ahead, and going through to the following round without points makes it difficult to think of a place among the best 4. 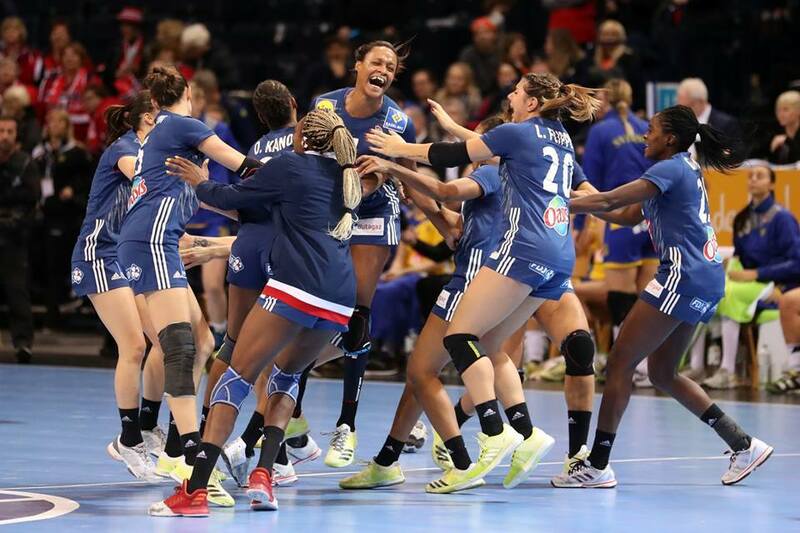 France has now gained their first two points of the competition and after the rest day they will face Montenegro to stay on track for the main round.